TownsWeb Archiving’s digitisation technicians have a wealth of experience in book scanning and digitising bound volumes – including scanning burial registers, guard books, journals, diaries, magazines and newspapers. We are able to scan and digitise old, very fragile, and rare books of practically any size (up to A0+) and convert them into digital formats such as TIFF and JPEG files, and full Adobe PDF ebooks. How does our Book Scanning service work? 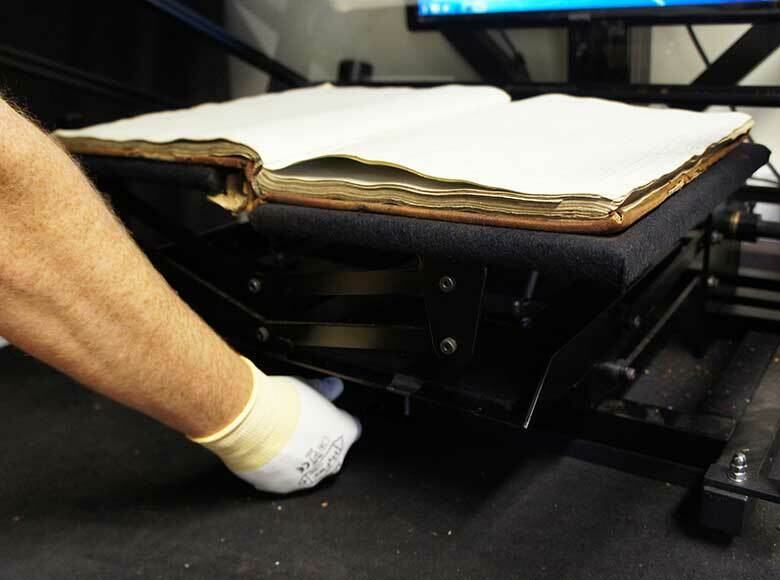 We digitise (or “scan”) books by using specialist advanced equipment to capture extremely high resolution images of their pages, either as single pages or double page spreads. During the image capture process we can also organise the digital image files by incorporating metadata into the filenames; such as the volume name/number, chapter, and page number of the book from which they were captured. We can perform book digitisation either on-site at a client’s premises or at our specialist studios in Northamptonshire. Digitising book collections can ensure that unique and valuable content is preserved in digital form, in case the worst should happen and the original volumes become damaged or destroyed. This high resolution digital back up can then be used to reprint the volumes if necessary. Digitisation can also provide improved access to your collections and increase the speed of finding information within the books, by enabling searching. Attaching metadata to the digitised images allows quick keyword searching through the digitised collections. In addition, our transcription and OCR scanning services can also convert the written content of bound volumes into digital text, to enable advanced searching against the content of the books. This searching can be performed via our book viewing software or PastView digital collections management system, or by importing the digital image files into your existing digital repository. Having access to a digital archive of your bound volumes also assists conservation efforts by reducing the need to handle the physical books and the wear and tear this incurs. 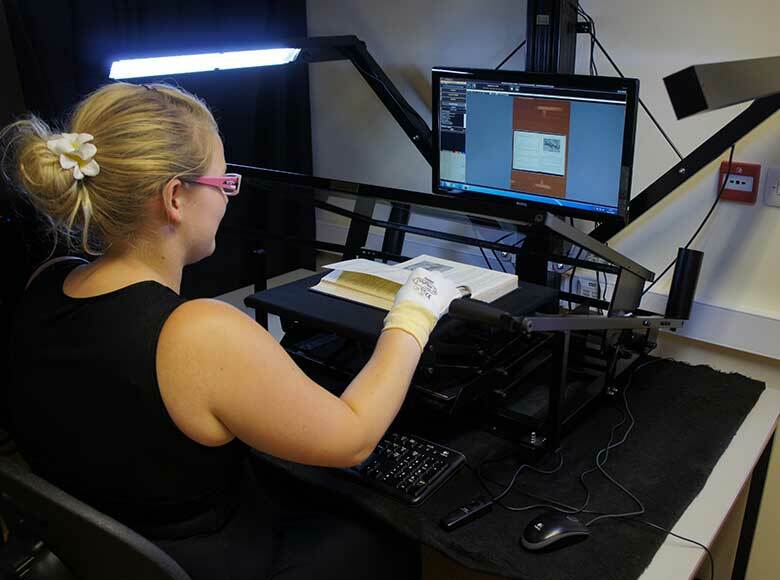 As specialists in digitising fragile archive collections, our scanning staff are fully trained in professional handling procedures for working with delicate books and employ a gentle, “white gloves” approach at all times to ensure no harm comes to the materials. Our unique planetary overhead book scanning equipment is designed to place the absolute minimum pressure on the volumes during the digitisation process. As part of this our scanners feature state-of-the-art auto-adjusting book cradles, to virtually eliminate stress on the books being scanned and ensure that they are fully supported at all times. They also utilise diffused, non-heat producing LED lighting to mitigate any risk of heat damage. 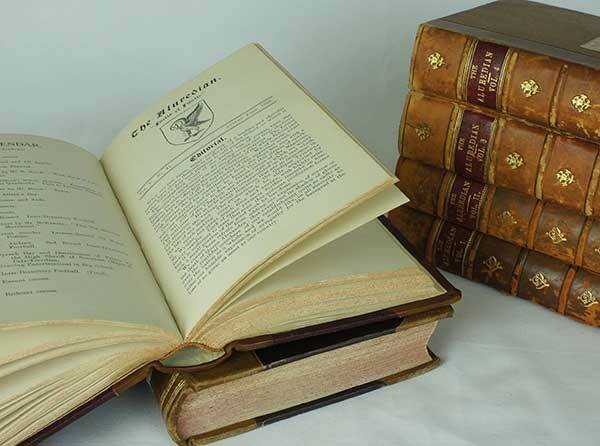 We are also able to offer non-contact scanning for particularly delicate bound volumes. We are able to digitise books to a variety of output formats – including RAW, JPEG, JPEG2000, TIFF, BMP and Adobe PDF. Images can be produced in full colour or greyscale. As standard for book scanning projects we would produce a collection of high resolution master TIFF files at 300dpi, in addition to a collection of surrogate compressed JPEG files more suitable for browsing on the web and use as thumbnails. However, during the planning phase of any book digitisation project we always work with clients to assess the goals of the digitisation and advise them on the best output formats based on these. If a client requests a specific output format we are, of course, always happy to accommodate them. If you would like to find out more about how TownsWeb scans books, read our How to Digitise Bound Book archives blog post. Or if you have an archive of bound volumes that you are considering digitising, please contact us.